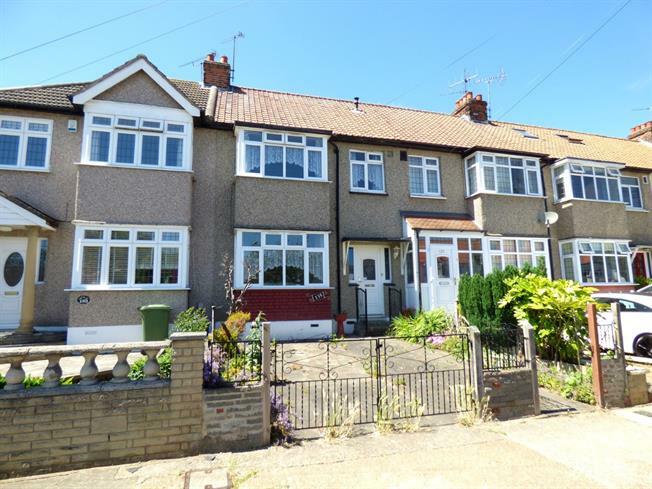 3 Bedroom Terraced House For Sale in Hornchurch for Guide Price £390,000. This three bedroom terraced property, on the sought after Northumberland Avenue, is a perfect first time purchase! Located 0.4 miles from Gidea Park Underground station and walking distance from local bus routes. The property is close to local amenities and David Lloyds Gym. The property consists of a snug living room, a lounge/dining room to the rear and galley kitchen. Upstairs you will find three good sized bedrooms and a three piece family bathroom. The rear has roughly a 120" garden, with some sheds at the bottom. There is off street parking to the front as well. We expect a lot of interest in this property, so please call Gidea Park office today to book your appointment!